Staunton has earned the city national recognition from the Arbor Day Foundation as a 2016 Tree City USA. It’s the 21st year the city has received this recognition. 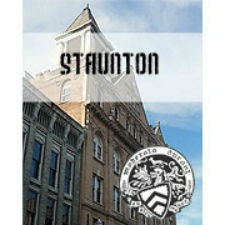 Staunton has achieved the Tree City USA distinction by meeting the program’s four requirements: a tree board or department, a tree-care ordinance, an annual community forestry budget of at least $2 per capita and an Arbor Day observance and proclamation. The city will host an Arbor Day celebration from 2 to 6 p.m., Friday, April 14, at Montgomery Hall Park. The Tree City USA program was started in 1976 and is sponsored by the Arbor Day Foundation in partnership with the U.S. Forest Service and the National Association of State Foresters. This year, the program marks its 40th year.